This November edition of Where to Eat in Dallas was easy, a snap, a real breeze. That's because this month's theme was new hot restaurants, and as often happens in the fall, there are a ton that have opened. There are loads to choose from, with something for vegans, bread fans, biscuit buffs, Mex-heads, and pizza fanatics. Barnes & Noble Kitchen, which features shareable dishes plus wine and craft beer, is in one of the new smaller-format prototypes being tested by the company. 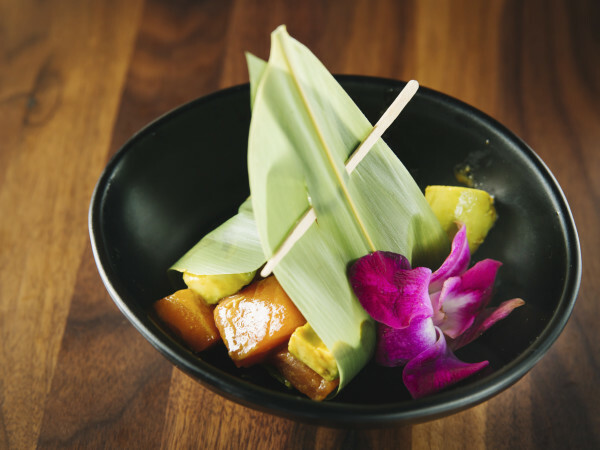 The menu reflects the seasonality of local ingredients. Dishes include herb-rubbed chicken, pan-roasted salmon, a brisket hickory burger, hummus, and a cheeseplate. Kale salad has apple, raisins, almonds, cotija, and apple cider vinaigrette. A chopped vegetable salad has carrots, green beans, roasted beets, cauliflower, feta, and pepitas, with green goddess dressing. There are coffee drinks and books, of course. Uptown Dallas branch of this Nebraska-spawned chain has opened in the new M-Line Tower at 3220 McKinney Ave., and is the third Blue in DFW, following the original in Fort Worth and a second branch that opened at Preston Hollow Village in 2016. It's known for its sparkling sushi, energetic atmosphere, and vivid decor. In addition to traditional maki, nigiri, and sashimi, the Uptown location is promoting its special line of vegetarian and vegan sushi dishes, which the chain introduced in mid-October. Just Beet It is a vegetarian roll with goat cheese and beet. Shiitake To Me is a vegan option with wild mushroom sautéed in coconut milk, shiitake vegan tempura, sweet potato vegan tempura, truffle oil, sweet soy, and Thai basil. Thai Hippie has tofu vegan tempura, avocado, cucumber and carrot, topped with Thai peanut sauce, cashews and Thai basil, cilantro, mint, and red onion salad. Downtown Dallas restaurant starring former Mansion chef Bruno Davaillon is revisiting French classics in a lighter manner, but the fact remains that this is French food: gougeres with Gruyere and truffle salt. Escargots beignets with green garlic aioli. Salmon rillettes with horseradish and warm scallion bread. Morcilla and onion tart with pickled mustard seed, braised rabbit torte à la royale, salt-baked celeriac, potted duck confit with foie gras and passion fruit gelée, and Dover sole Meuniere with confit potato and warm gribiche sauce. Hmmmm. At the very least, it's worth a visit just to check out the fancy gold-clad marquis hovering over the entrance. The Commissary is the latest concept from Tim Headington, owner of the Joule Dallas hotel and an entire portfolio of restaurants. This bakery-cafe is in a pretty blue tiled building in downtown Dallas where it's doing breads, pastas, sausages, condiments, and desserts. Operations will run practically around the clock in a subterranean space, which features a 5,000-bottle wine cellar, a walk-in dry-aging cooler, and a tunnel oven, which fires up at 4 am daily, turning out 150 loaves of foccacia, sourdough, rye, baguettes, and more. The concept is practical and convenient, serving coffee, espresso, pastries, lunch, and dinner in or to-go. Old-school classic at the Adolphus hotel in downtown Dallas has re-emerged after a 16-month restoration, hoping to seize back its role as the dining destination for engagements, anniversaries, and other special occasions. The redo includes the obliteration of the signature cherubs on the arched ceilings, with more period-appropriate plaster in its place. But can Mumsie's birthday dinner still be special without the cherubs? 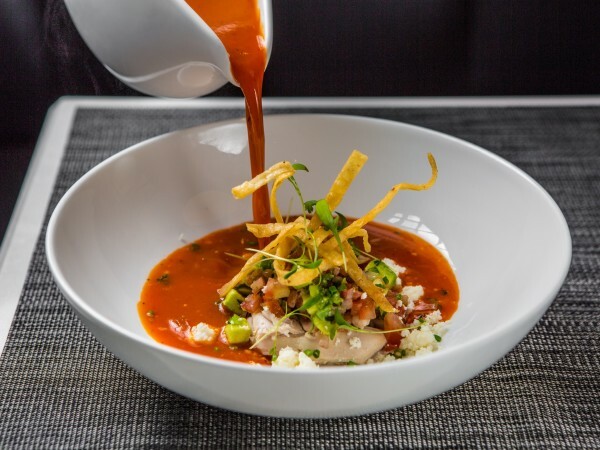 Chef Michael Ehlert's menu plays out in a variety of configurations: as an evolving seasonal three-course menu; a seven-course tasting menu; and a 15-course experiential menu incorporating the Salon, Bar, and dining room. Mexican restaurant at Turtle Creek Village stars Jose Meza, the chef whose high-flying resume includes stints at Rene Redzepi's NOMA in Copenhagen, Denmark. Dishes include tuna tartare tostada, a rice tostada with tuna tartare, avocado, alfalfa, and a macha salsa; nachos Norte, with refried beans, guacamole, cheese, pico de gallo, and tortilla chips; and arroz con leche, a classic Mexican dish with vanilla ice cream, tequila raisins, and walnuts. Cocktails by beverage director Trevor Landry and bar manager Ravinder Singh focus on agave-distilled spirits including tequila and mezcal, as well as sotol and bacanora. The restaurant initially will open for dinner only; coming soon will be lunch, weekend brunch, and Lonchería, a walk-up market window. East Dallas takeout at 6041 Oram St., next to the little Bangkok Inn, comes from Scott Jones (Screen Door, Cowtown Diner in Fort Worth, Café Italia), with a Southern-themed menu that includes chicken in a dumplin,' a biscuit stuffed with roasted chicken and veggies, browned, and finished in a chicken jus, then served with more chicken, carrots, and peas. Biscuits made Jack famous: Options include buttermilk, jalapeño bacon and cheddar, sundried tomato, basil and mozzarella, and cheddar and chive, with your choice of gravies from a selection that includes black pepper cream, truffle mushroom, brisket gravy, or Jimmy’s Italian sausage gravy. There's also a meatball kitchen with items such as smoked chicken meatball with cilantro poblano cream sauce on a Tuscan white bean ragu. Oak Cliff classic has a new executive chef, Gerald Smith, who borrows from French techniques, Asian boldness, and Italian richness. Smith is bringing innovative changes to the menu that takes a modern spin on the classic roadhouse. A graduate of the Culinary Institute of America, Smith has studied under and worked with celebuchefs such as Jean George Vongerichten, Mario Batali, Stephen Starr, Rich Melman, and Brendan Sodikoff. 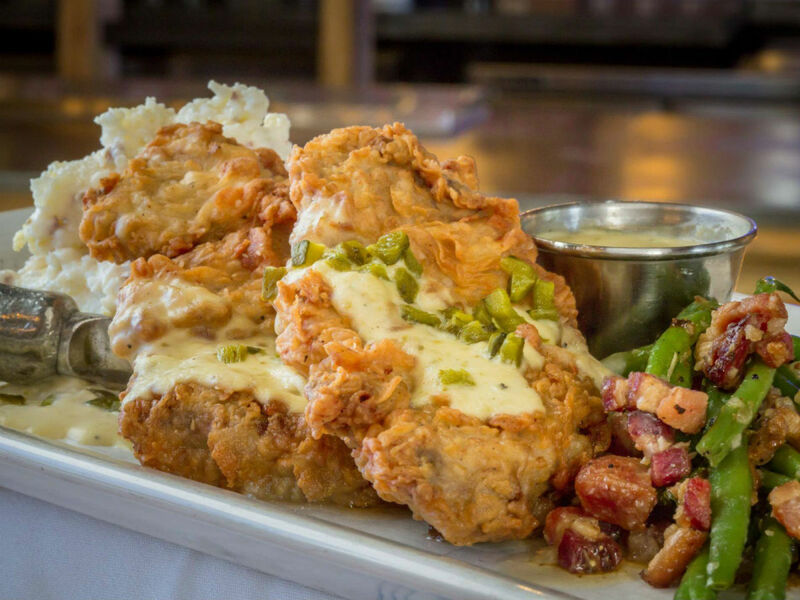 Fortunately, the chicken-fried steak hasn't gone anywhere and it's an excellent rendition. The brasserie cousin of Le Bilboquet, located inside the fomer Chili's at the corner of Knox crafted by Lark on the Park chefs Melody and Dennis Bishop is now open for breakfast, lunch, and dinner. 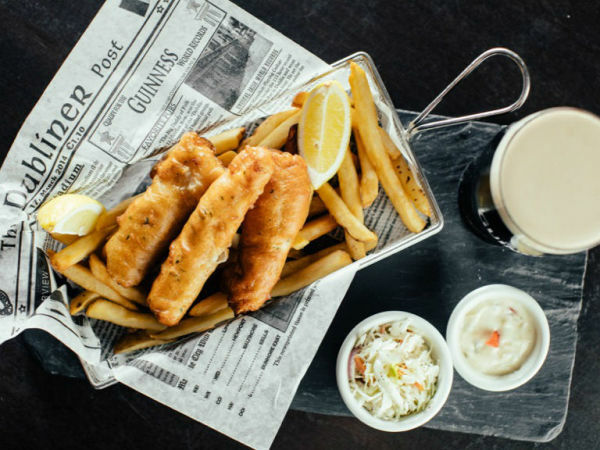 It does a California take on French, with steak frites, burgers with rosemary-laced French fries, and loads of seafood, from oysters to ceviche to yellowfin tuna. The space is super chic, with a curving bar at the center, a great place to get an espresso and croissant. Former Bishop Arts pizza spot re-opens as Zoli's 2.0, with the incomparably awesome pizza of chef and New York native Lee Hunzinger, but also a menu of East Coast Italian classics. New dishes to try include fried mozzarella, served with marinara. Pasta carbonara has spaghetti, bacon, egg, garlic breadcrumbs, and pecorino. There's a game-changing pizza with mozzarella, mushrooms, and habanero honey that's finished with cold cheese, so that the cheese becomes like another ingredient and not just a melted goo. The decor retains some of the original's pop-culture snap but in a stunning setting that includes a massive white marble bar and a church-like clerestory — because this is a church! It's the church of pizza.